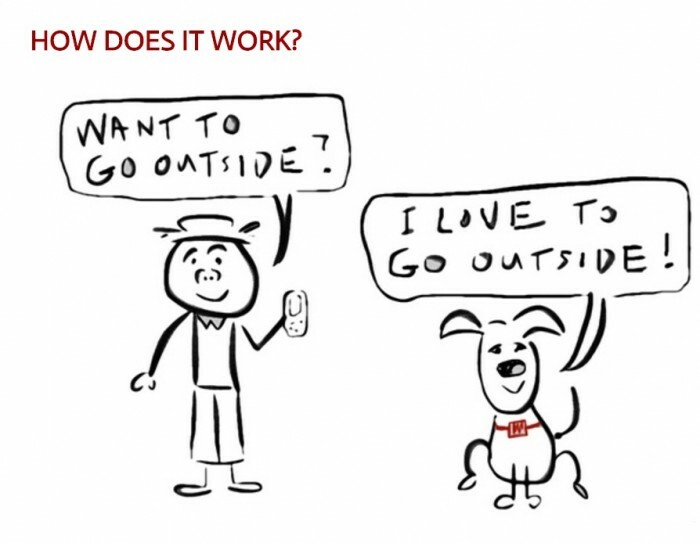 My Talking Dog is a combination smartphone app and dog collar that allows you to have a fully interactive conversation with your dog. Speak into the app and the dog talks back in context. It talks back via a bluetooth speaker on it’s collar. It’s like Siri, except for a dog. The app uses speech recognition and cloud processing to formulate an appropriate response. You say, “Want to go for a walk?”, the dog might say “I’ve been bored and sitting around, so yeah let’s go!". It could also say any number of other things, just like Siri doesn’t always have the same response to your questions. The aim is to have fun and increase bonding between people and pets. This app and collar would be a world’s first. Speech recognition apps and devices are becoming increasingly popular. For example, Mattel released a talking 'Hello Barbie' doll last year with the same feature, i.e., fully interactive conversations with a speaking doll. 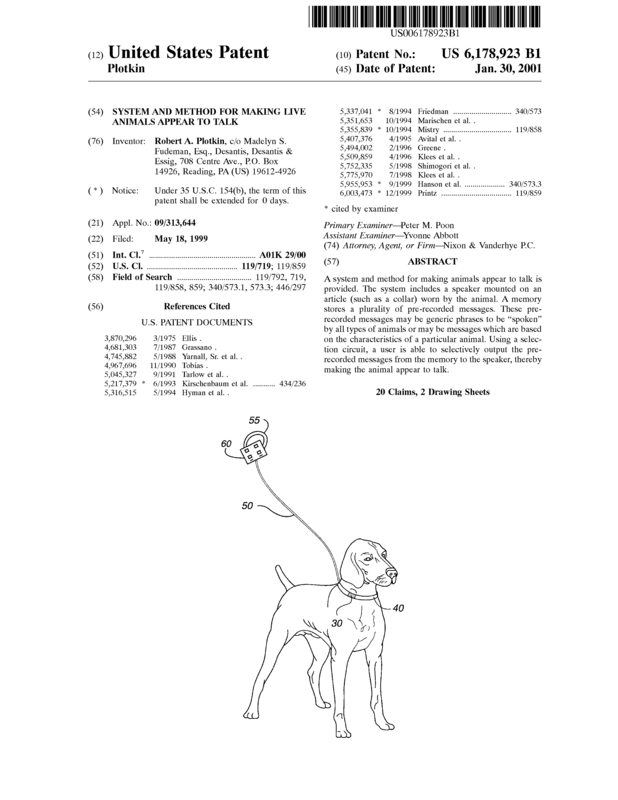 Page created at 2019-04-25 10:02:27, Patent Auction Time.